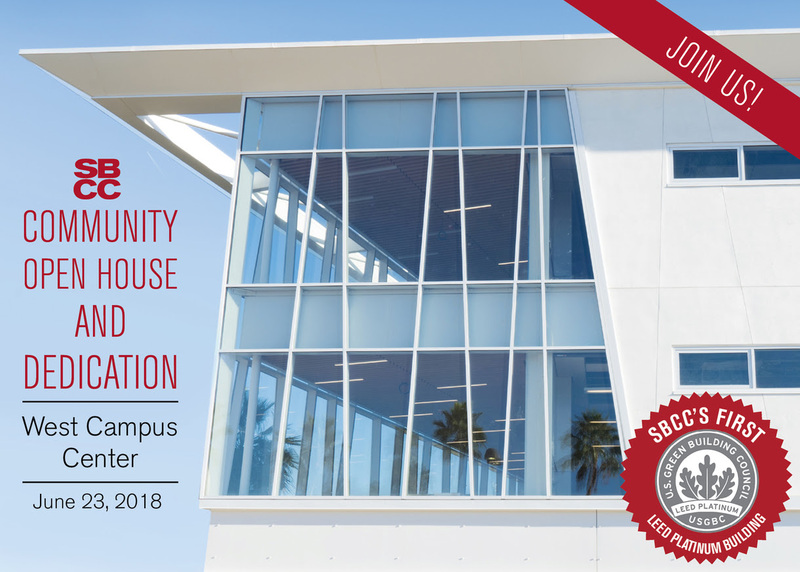 On Saturday June 23, 2018, Santa Barbara City College will host an Open House and Dedication of its award-winning West Campus Center from 10 a.m. to Noon. Everyone in the community will have the opportunity to take a tour of the new building and see why it received the Leadership in Energy & Environmental Design (LEED) Platinum Certification – the highest level possible – as a healthy, highly efficient and cost-saving green building. Recognized for notable achievements in energy efficiency, water efficiency, sustainable operations and sustainable landscaping, the West Campus Center surpassed the California Building Standards Code (“Title 24”) by more than 16%, which will save the campus over $22,000 in utility bills each year. A highly reflective "white roof" coating in combination with a vegetated “green roof” system keeps the building cooler, requires less energy for heating and cooling, improves stormwater management, improves air quality, and can serve as a habitat for plants and animals. An onsite photovoltaic array powers 13% of the total energy use. A 33% potable water reduction using highly efficient plumbing fixtures saves 83,420 gallons of water per year. 100% of water used for irrigation and sewage conveyance is reclaimed. A "Green Cleaning Policy" implements an interior cleaning protocol using equipment and chemicals that meet stringent guidelines for indoor air quality standards.